Our desire is to provide you the quality service you deserve, with the care you'd expect from a good friend. Stage Masters was established in 1997. 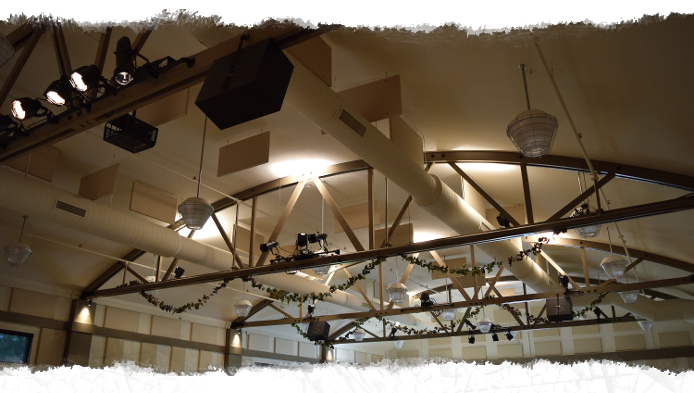 The owner and founder, Shawn Fife, was the technical director at a church before starting his own business and during that time he was approached by another church who asked him to design and install a sound system for them. He accepted the opportunity and learned through the design and installation process of that project that he could enjoy his love for tools and technology and his passion for working with sound, lightning, and video all while helping churches and providing for his family. Shawn has been a technical director as a volunteer and as a paid part time and full time staff member at multiple churches. These experiences have been invaluable in allowing him understanding and appreciation of the dynamics involved in church audio visual ministries. One aspect of the business that Shawn takes joy in is the relationships he has been able to build with his clients over the years, making them more like friends then clients. God has blessed Stage Masters, allowing us to serve many churches not only in the local area but in neighboring states. Our team at Stage Masters enhusiastically approaches each and every installation, sale, or service as though it was for our own church or organization. We make sure to always step into the client's shoes to ensure that they receive the quality equipment and installation that they deserve as well as individually assessing their specific needs and vision. While the focus of Stage Masters is the church, we do the same quality design and installations in other types of businesses and organizations. Let us know how we can help make your visions become reality.